The FUSION is designed to be an intuitive system that increases the capability of any operator. 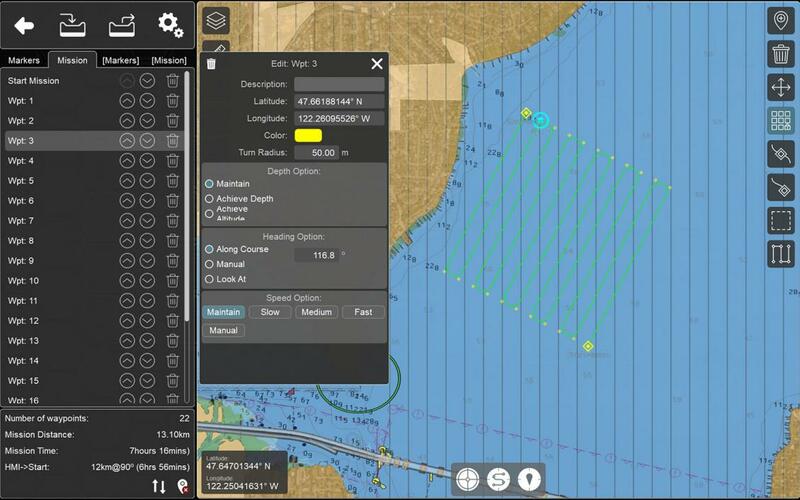 This is accomplished by incorporating clever control and navigation algorithms that utilize vehicle dynamics, thruster map and onboard sensor data effectively. 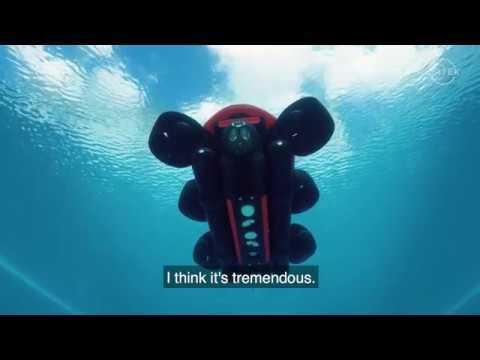 The result is an underwater vehicle with an intelligent control system that maximizes simple and complex missions. When in the water the FUSION maintains position utilizing the included navigational sensors such as DVL, GPS, AHRS and/or USBL. In addtion to station keep the FUSION also has attitude control in yaw, surge, sway, heave, pitch and roll. Operators need not be intimidated by the supervisory control as the user interface is incredibly intuitive. No need for an engineer to run the system or additional computer. The operator has the ability to quickly switch between different operational modes depending on conditions, missions or preference. 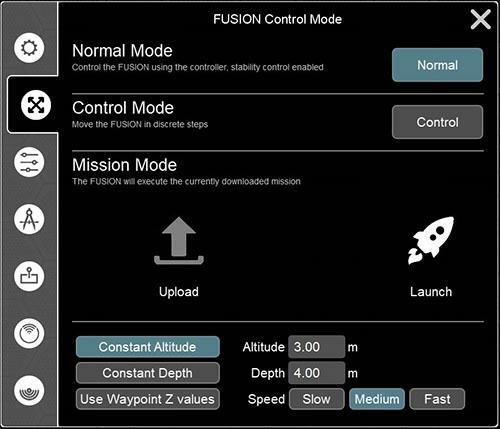 Normal, Control and Mission modes are available in tethered ROV mode and Mission mode for untethered AUV mode. NORMAL - in Normal mode station keep and attitude control are enabled, but the operator can override using the joysticks and thumb wheel. When commands are returned to neutral the FUSION will hold station and attitude. CONTROL - In Control mode the joysticks and thumb wheel are disabled providing supervisory control of the FUSION through the intuitive user interface. The FUSION can be moved by setting the desired increment and angle and tapping the corresponding direction in the user interface. Once the new demand location is reached the FUSION will resume holding station and attitude. Additionally, the FUSION can be given a marker to travel to by either placing a marker on the map or entering a attitude and longitude. The FUSION can travel to the marker with course or heading lock. MISSION - in Mission mode the FUSION carries out waypoint navigation for such missions as lawnmower searches and orbit patterns. The FUSION will not stop at each waypoint, but continue its path until the finish waypoint is reached. Missions can be paused and resumed if objects of interested are detected and require more immediate investigation. The FUSION is equipped with a complex suite of navigation tools that help operators easily plan and execute autonomous missions. Missions can be as simple as a single go to waypoint or more complex grid and orbit patterns. Easily link waypoints and patterns to custom tailor the mission to the exact mission requirements. For each waypoint a variety of parameters can be set including altitude, imaging data collection, heading and more. Explore the user interface to learn more about planning missions. Since the FUSION is a vectored thruster vehicle complex maneuvers are possible and also more efficient. Add the real time positional correction and the FUSION can remain at depth throughout the entire mission.